Sorry I've been MIA for a while. I've been flat on my back with the flu for a week now but am finally back on my feet. I haven't been that sick in a very long time. 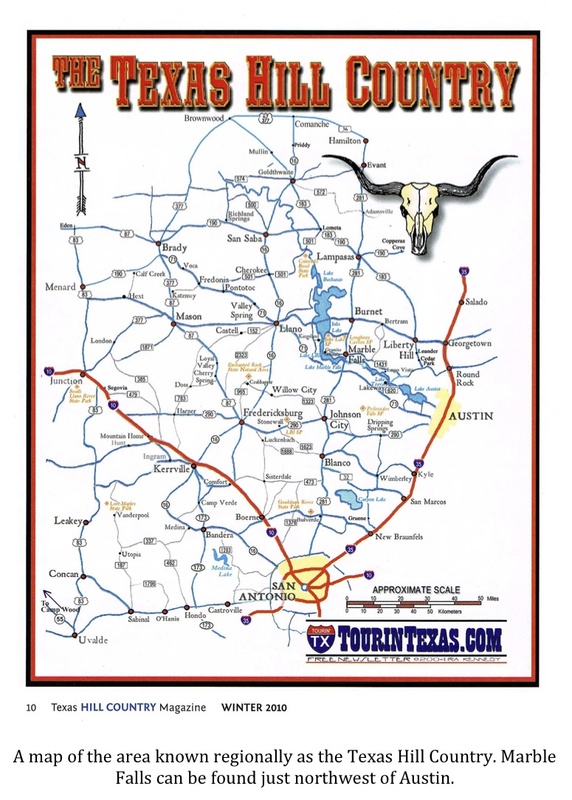 Texas is renowned for its tall tales, myths, and legends. It is one of the things I love the most about the state. While there are the classic folkloric tales, common to all regions of the country, such as those told about the mythical Pecos Bill, there are an awful lot of stories telling of the exploits of real people who lived and died in the Lone Star State. 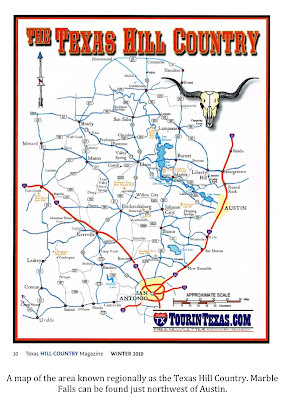 Exaggeration and hyperbole have infiltrated many a story of actual events to be sure; the key, however, is that many, if not most, of the better known tall tales of Texas contain seeds of truth. The events may have been romanticized over the years but, in most cases, they did occur. The trick is figuring out where the truth ends and the “yarn stretching” begins. The story of Miss Ramie Arland of Marble Falls is one such tale. The search party reconvened at the Arland place at daybreak, tired, discouraged and distraught. Not only had they not found the girl, they had failed to turn up even a trace of her. If Ramie had been attacked by a cougar there should have been some sign of the event. Blood, a scrap of her dress, disturbed ground…something. Yet nothing had been found. Everyone, no doubt, feared the worst. Ramie’s account continued as she told of how the creature toted her to a cave and threw her down on the ground. She claimed that she tried to escape several times but was struck about the head and shoulders by the creature upon each attempt. Finally, resigned that her life would soon be over, she sat down on the floor of the cave and awaited the inevitable. The odd hair-covered creature with the human-like face became more relaxed once Ramie settled down and, according to her telling, actually lay down and went to sleep. Ramie waited about an hour to make sure the beast was in a deep slumber and then slipped out of the cave and escaped. Unfortunately, the story ends there. Nothing more is mentioned as to what became of the body of the ‘bear king’ or Ramie Arland. Such is often the case with fantastic stories such as this one. We are simply left to wonder. There are numerous problems with the entire story. 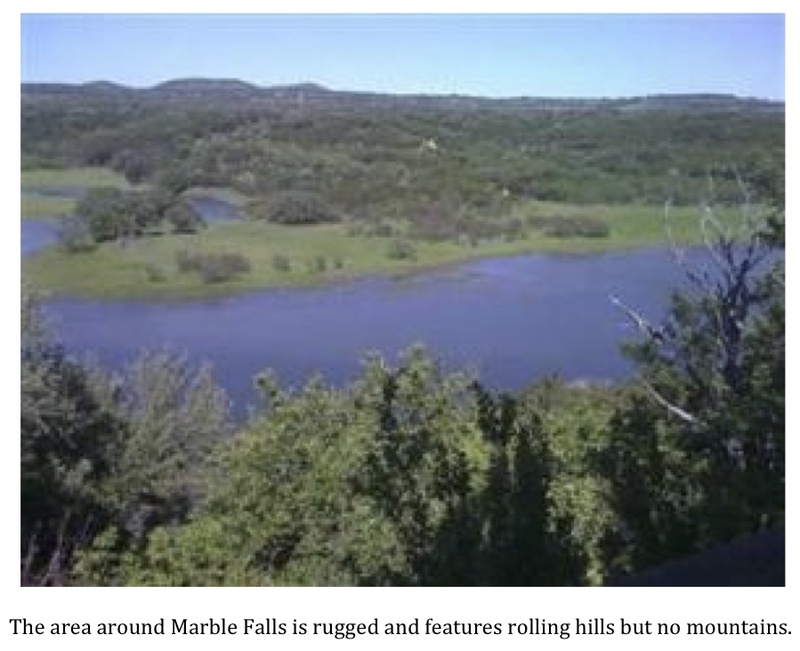 Marble Falls sits in the Texas Hill Country, but no geological formation in that area could remotely be considered a mountain range. Add the fact that there is not a range called the “Moon Mountains” anywhere in Texas and you have a pretty big issue that casts doubt on the entire episode. Another problem skeptics point to is that the Kickapoo Indians were not native to Texas. 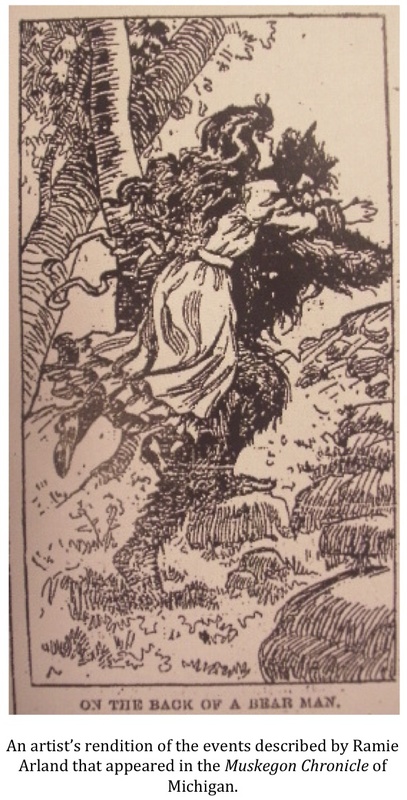 That being the case, how would a girl from Marble Falls know anything of the tribe’s legendary ‘bear king?’ Yet another reason many feel the tale is likely just a yarn created by yellow journalists to fill space in their papers, a practice not uncommon back in the mid to late 1800’s, is that Ramie Arland claimed the creature that she encountered “sprang out of the chapparal and onto the trail.” Many a botanist will tell you that there is no chaparral in Texas. It is found only in California and the Baja Peninsula. All of these inconsistencies would seem to ensure that the tale of the ‘bear king’ is nothing but another Texas tall tale. It is true that the Kickapoo Indians were not native to Texas. The tribe was living in the Great Lakes region of the continent when they were first encountered by Europeans. Nobody seems to be able to say for sure when the tribe migrated to Texas. What is known is that after the War of 1812, two Kickapoo bands settled in Missouri. By 1833, the tribe had moved again. Most, but not all, of the remaining Kickapoo moved to Kansas. The remainder? They migrated to Texas. This might not have been the first time the Kickapoo had been present in the Lone Star State. According to some documents, the Kickapoo were given a land grant by the King of Spain in 1775. The land they were given was in the northern portion of the Spanish Territory of Mexico. This part of the Spanish Empire, north of the Rio Grande, would later become Texas. Today there are three federally recognized Kickapoo tribes remaining in the United States. One tribe resides on the Kickapoo Reservation in Kansas, another has made Oklahoma their home. The third? They are known as the Traditional Kickapoo Tribe of…Texas. It seems pretty obvious that the Kickapoo did get around. According to some scholars, even the tribal name means “stands here and there” in reference to the group’s nomadic ways, though this is disputed by some. In any case, we do know that a number of Kickapoo did come to Texas in 1833. This predates the story of Ramie Arland and makes it possible that she, and others in the Texas Hill Country, had heard various tribal legends and myths that might have included descriptions of a creature similar to that encountered by the people of Marble Falls. It could also be debated as to whether or not there is chaparral in the Hill Country. Chaparral is, by definition, a plant community that thrives in “Mediterranean style” climates and not necessarily an individual species. It features hardy, drought tolerant plants that thrive in mild winters and hot, dry summers such as buckbrush, Cleveland sage, black sage, coast live oak, canyon live oak, and scrub oak, from which the name is derived. Technically, the chaparral ecosystem is found only on the west coast. It covers 5% of California and parts of the northern Baja Peninsula. Now, having gotten all of that out of the way, we need to address the term scrub oak. Scrub oak is a very general name that is used to describe many different types of small shrubby oaks. It is a name used frequently to this very day to describe the flora in the Texas Hill Country. All one has to do is type “Hill Country Scrub” into a Google search and this fact becomes apparent. The land where such shrubby oaks are found is often called scrub land. The term chaparral has become interchangeable with the term scrub land. It wouldn’t be too much of a stretch to think that might have been the case back in the early 1900’s as well. 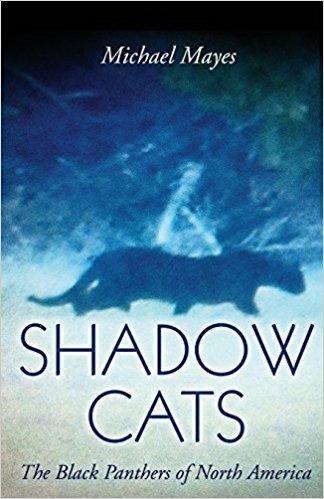 If so, Ramie’s description of the type of cover from which the creature sprang might not be so inaccurate after all. What interests me most about this story is the description of the creature that allegedly abducted Ramie Arland. There is no known animal that matches the description given by the people of Marble Falls. Arland claimed that, while the creature bounded out of the brush on four feet, it “in some way resembled a human being.” She then claimed it threw a “long arm” around her neck, gathered her up, and ran off with her. It is also pointed out by two different parties just how human-looking the face of the beast was. Ramie stated it in her description of the animal and it is also pointed out in the Washington Bee article that the hunters who went after the creature were so taken aback by its human-like appearance that they hesitated to fire upon it. This all sounds very familiar to me as it is a description hundreds of people have given who claim to have seen a wood ape or sasquatch. Equally fascinating is the description of the beast’s behavior. The idea that a sasquatch would kidnap a person is not new. This is a scenario described, fearfully, by many Native American tribes in their folklore. Of later vintage are the abduction claims of Albert Ostman and Muchalat Harry. The circumstances of these alleged abductions vary a bit from those surrounding that of Ramie Arland but, at their heart, all of them center around a hair-covered, human-like creature that nabs a human and carries them off to its lair. The description of the animal’s behavior upon being confronted by the hunters is something that should not be overlooked either. The hunters said the beast ground and snapped its teeth at them, pounded its chest, and roared/screamed at them. All of this is classic great ape intimidation behavior. While we will never know, it is interesting to speculate on whether the bounding attack described by the hunters might not have been a bluff charge; another great ape intimidation tactic. 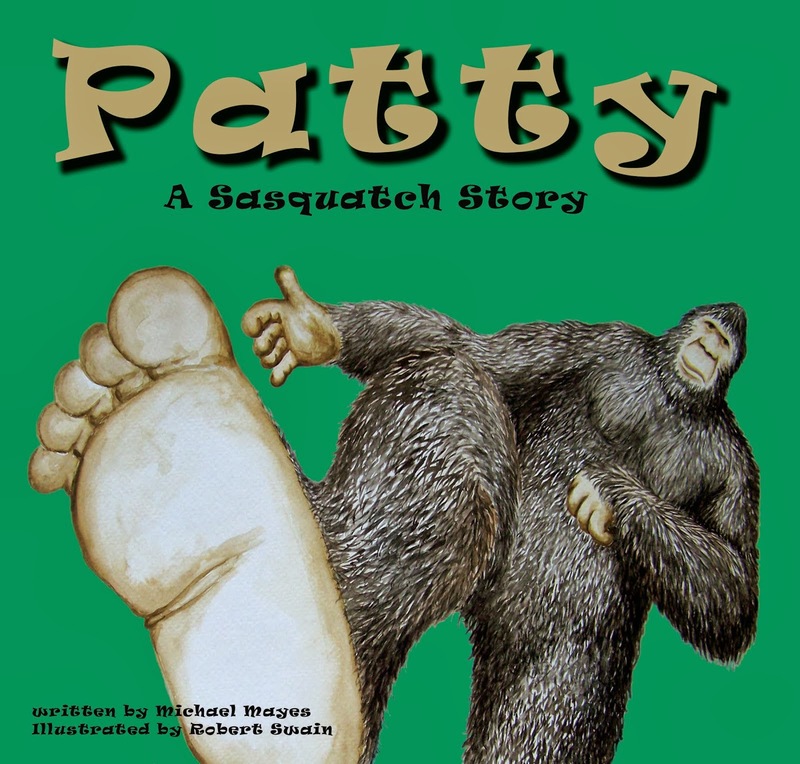 Every single one of these documented great ape behaviors, as well as many others not included in this tale, have been described by people claiming to have had an encounter with the ever elusive sasquatch. So, it would seem, many of the holes in the story of Ramie Arland might not be so gaping after all. Mix in the fact that many of the characteristics and behaviors of the animal in question have been described both before and since by alleged sasquatch witnesses and one begins to wonder. 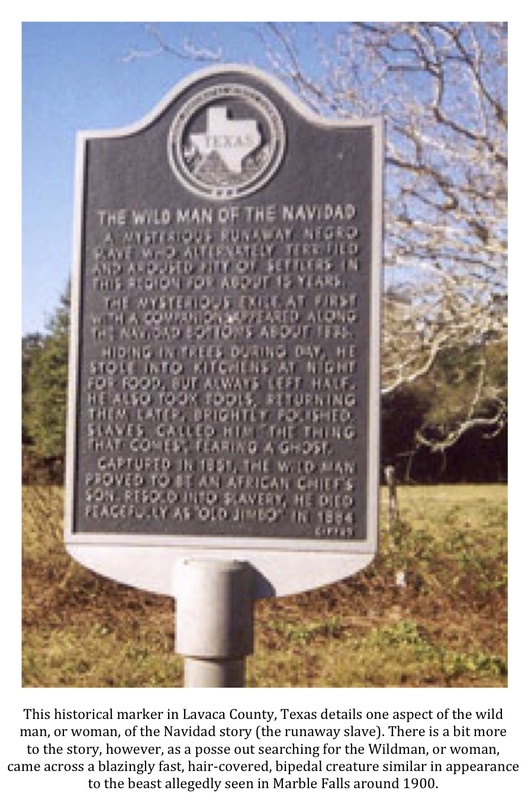 In fact, the strange goings-on in Marble Falls at the turn of the 20th century closely mirror the nearly decade-long experiences of settlers living along the Navidad River in the years between 1837-1845. The description of the legendary wild woman of the Navidad, who was pursued across the Texas prairie by a lasso-wielding cowboy, closely matches that of the ‘bear king’ of Marble Falls. Texas was a much wilder and wide-open place during the time period in question. 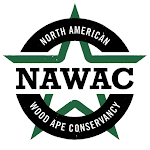 Is it possible that, like many other animals, the North American wood ape was more common and far-flung in those days? I have no idea whether there is any truth to the strange tale of Ramie Arland. Most of the “problems” pointed to by those skeptical of the story can be intelligently debated. The one exception is the portion of the story involving the cave in the mountains. The mention of a cave doesn’t bother me, as the entire Hill Country region is riddled with them, but the “Moon Mountains” reference is a tough one for me to get past. There are no mountains near Marble Falls and there is no mountain range by that name anywhere in Texas. You would be hard pressed to find anyone in the area that is even familiar with the tale of Ramie Arland these days; yet, the story is still whispered around the fires of Central Texas campgrounds by a few old-timers to this day. It is likely that the next generation of Texans will never hear the story at all. That being the case, the truth about what, if anything, actually happened in the Texas Hill Country back around 1900 will remain elusive. With every passing day, the facts retreat farther and farther into the mists of time. There they will remain; forever out of our reach.